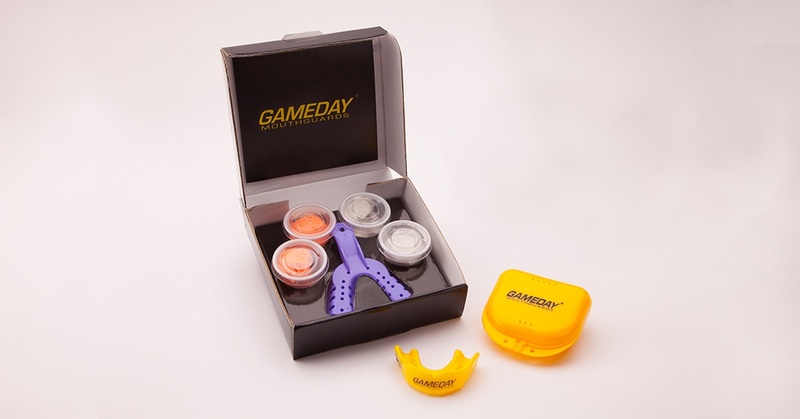 In today’s blog we speak with Rick Paraskevopoulos from innovative mouthguard brand, Gameday Mouthguards and discuss their tailored e-commerce-based website which literally takes the dentist out of the custom mouthguard buying process. Take the dentist out of the process? That’s right. As a leader in the growing personalised e-commerce space, Gameday’s business model centres around a direct-to-consumer online store. You buy your mouthguard online, they send you a self-impression kit and you return your impression to their lab in Melbourne. Their dental technicians then custom make the product and send it to you, all at a fraction of the price of visiting the dentist. When asked how important their website is to them, Paraskevopoulos is matter-of-fact: “It’s our main source of revenue and also the main information source for our customers. All our marketing efforts are about directing traffic to our website. It’s our shopfront.” And this is all evident in their comprehensively-designed website which sports (pun intended) Gary Ablett Jr above-the-fold and references their partnerships with the AFL and NRL (their logos are placed strategically alongside their own). Gameday Mouthguards registered their exclusive third level domain, gamedaymouthguards.com.au with Netregistry Pty Ltd, one of Australia’s largest domain name providers. Like any serious e-commerce brand, Gameday’s site sits on a .com.au country code domain name. While it is not a requirement of Australian businesses, this does help foster a stronger relationship with shoppers. “It’s a quick way to build trust with the customer. Although a lot of Australians wouldn’t know this, registering a.com.au comes with a set of criteria that must be met by Australian businesses and because we currently only sell our products in Australia it makes sense for our business,” he explains. On the topic of digital, we asked Paraskevopoulos what tips he has for small business who want to ace their marketing: “Start simple and utilise all the available tools, especially those that are free. With so many people using search engines to find local products and service information, Google is a great place to start. It’s where your customer is likely to be so I always recommend beginning with a Google My Business listing.” Sound advice from Paraskevopoulos seeing Gameday absolutely dominates the search results when you search keywords like ‘custom mouthguard’. If you haven’t already, check out the other posts in the ‘in convo’ series with The Party People and Waster. Expect the next in the series in a few weeks.